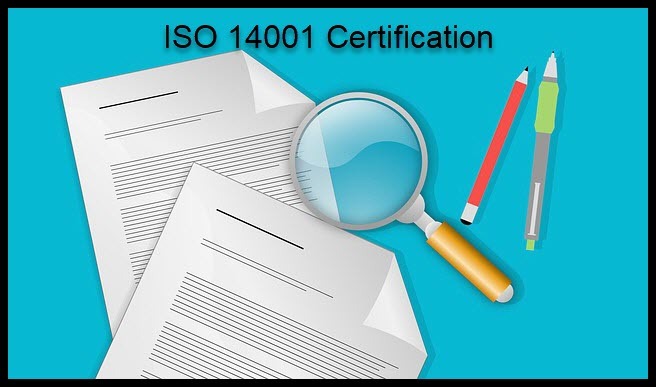 For an ISO 14001 certification, it is particularly important to find a suitable certifier or certification body. You can find numerous diverse registrars. If you want to have an environmental management system certified, select a certification body that specializes in it. When selecting a Registrar, you should use an accredited certification body which ensures the credibility of your ISO 14001 Certification. In order to be accredited, certification bodies must meet certain conditions that ensure high-quality work. An accredited EMS certification body certification ensures customers or government agencies recognize it. Their accreditation assures this. On the web, you should search for an actual list of different certifiers specializing in the certification of EMS. Find this list under the search term "List of accredited bodies for Environmental Management Systems." This search leads directly to a selection of ISO 14001 EMS specialized certifiers. You also have the option of relying on recommendations or experiences from other companies when choosing a certification authority. Have you selected different certification authorities suitable to you? Then invite them to a first conversation meeting. This gives you the opportunity to compare different registrars. During this conversation's phase, you can rely on your gut feeling, because as in other areas, the chemistry between the parties involved should be the same with an ISO 14001 certification. If the parties act on a good human basis, pleasant and working cooperation will be possible. At the same time, the initial talk offers you the opportunity to clarify outstanding questions and to discuss topics such as the expected costs or the procedure. Once you have met different accredited certification bodies, the next step is to get an offer for your ISO 14001 certification. They normally uses a questionnaire to collect further company-specific information to determine your offer. As a rule, the offer covers the entire three-year certification cycle. In addition, the certification body determines the certification effort. After you have obtained several quotes, you can then opt for an organization that certifies an ISO 14001 Environmental Management System. Once you accept the offer and place the order, the certification process begins. With certification, the accruing certification costs are influenced by internal as well as external costs positions. The amount of internal cost certification ISO 14001 Environmental Management System depends on which elements of the EMS system were already in place before its introduction. Represent such financial expenditure incurred in the conformity assessment itself. Thus, external costs are expenditures that must be spent on the certification authority. Factors that influence the external cost ISO 14001 certification are mainly the certification effort, your headcount of people, as well as the travel expenses of the certification auditor. Expenditure calculation depending on the number of employees. The number of employees working in the company influences the cost of the certification effort. This includes seasonal and temporary workers. According to IAF - International Accreditation Forum, the certification effort increases as the company grows and the number of employees in the organization increases. As a result, the cost of the ISO 14001 environmental management system EMS certification increases in companies with a larger workforce. Expenditure calculation depends on location factors. If the certification audit detects nonconformities, a follow-up audit may occur. In this case, the costs of an ISO 14001 environmental management system certification continues to increase. How can I influence the cost of ISO 14001 certification? Matrix audits, especially for international companies with multiple locations, reduce certification costs. A matrix or composite audit consists of randomly examine EMS requirements of different locations or branches. This type of verification reduces the certification effort and thus the certification costs. This audit option is particularly interesting for SMEs. If a link exists between different companies, SMEs can have group certification audits. The more organizations that join the group audit, the lower the certification cost for each individual company. This can pay off by reaching out to your business partners and business network to build a joint EMS network. Travel costs from the certification auditor represent a major cost item. However, most companies can choose an auditor from their region. In this case, you eliminate overnight and/or reduce long journey costs. This may work for national or international organizations too. Certification auditors often do not come from the certification organization's corporate headquarters but work as freelance auditors. Again, companies have the option of choosing an auditor from the region. Reduce the cost of a certification ISO 14001 environmental management system by combining it together with another management system. If this is the case, the costs for the certification auditor will only be incurred once.